This will be short... I just wanted to share! I posted on Facebook the other day that I got my awesome magnetic twist trimmer, but ordered the wrong sized cutting mat! Well, I got the larger cutting mat today! I decided to do some test cuts to see how I liked it.. and I LOVE it! Here are the cuts.. and yes, the paper matches the specific trimmer, LOL! 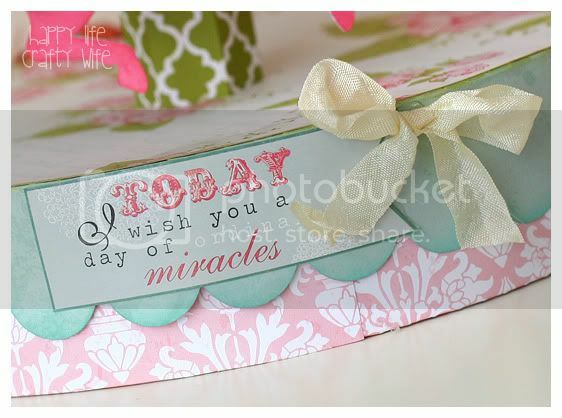 I love when company's make their things in pretty girly colors! We R memory Keepers does just that! Pretty neat-o.. right? 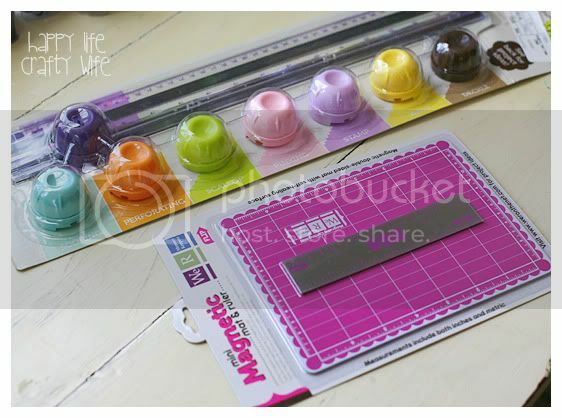 I really, really like it.. and I love those magnetic cutting mats! 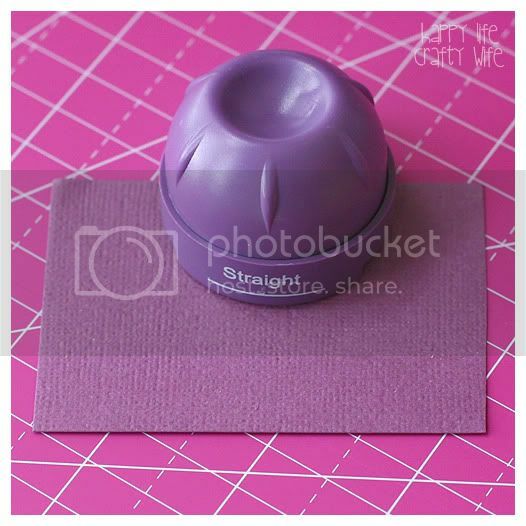 This trimmer will be great for quick cuts for cards, tags, etc. Money well spent for me! 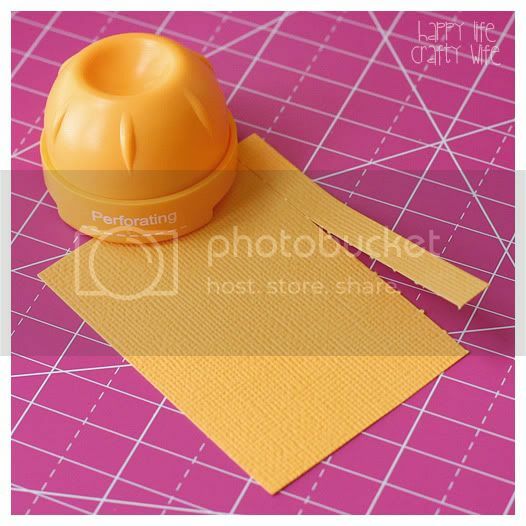 All in all it's quick and easy to use and cuts very clean! Thanks for taking a looksie! 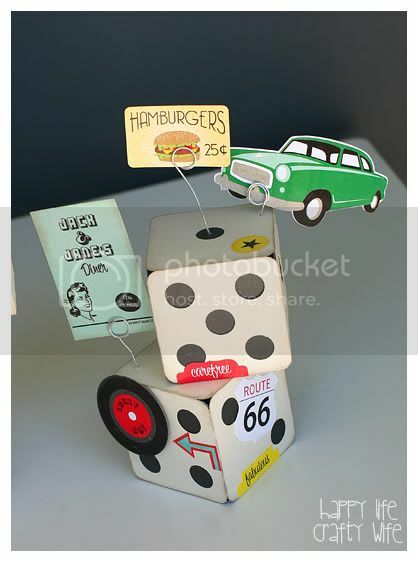 As most of you know, I created a pretty cool witches hat giftbox for Echo park's CHA summer 2011 booth! It got GREAT feedback and I figured that I would get this tutorial done for you all so you can try to make it yourselves! It's a lot of fun and not that much work! I made a video for the hat part since it's easier to show in a in a video than to explain picture by picture. First, I will expalin everything else, and then add in the video for the hat at the end! 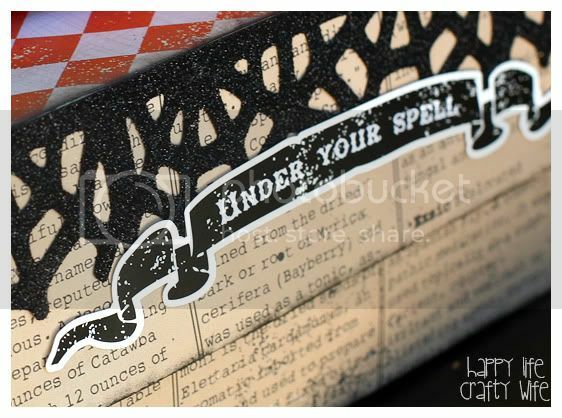 Apothecary paper kit from Echo Park Paper Co. Ink in dark grey and black. Paper mache' cone/cardboard cone at 4" diameter. Bats.. I found a FREE SVG file, however I can't seem to find it again. 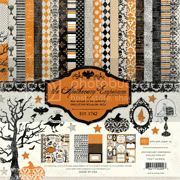 Happy Hauntings cartridge has one as well! 1). Make the big boutique box. You will want to use the Square flat trio LARGEST one. Cut as sized in SCAL. 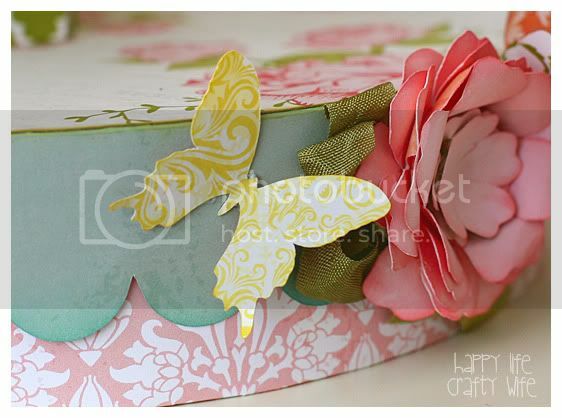 (if you want to make your own box make it 11x11" or larger. 3). 3D flower from SVG Cuts is in the 'extras' folder. File is: 28.svg sized in layers from 3.00w to 1.25w. Crickle and ink edges, etc. Add ink.. ALL OVER, lol. Inking add SO much! Add the sticker from the collection kit to the hat! 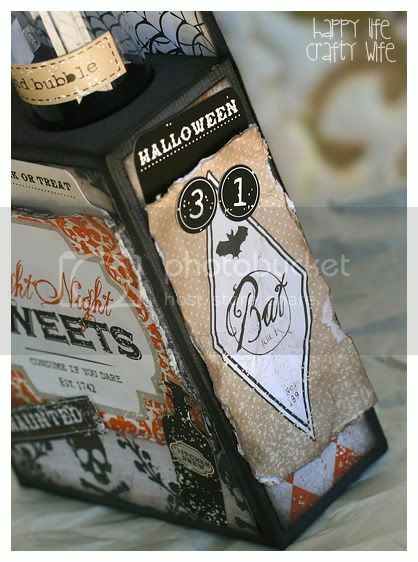 Glitter the bats and web trims. 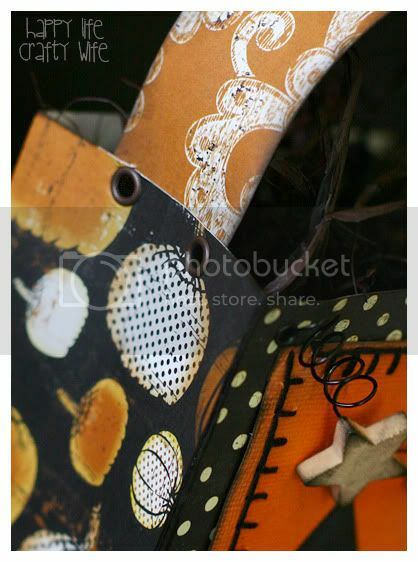 I brushed on Mod Podge and then sprinkled away! The web was done in black and the bats were done in a dark grey. I used Recollections brand glitter which works GREAT! 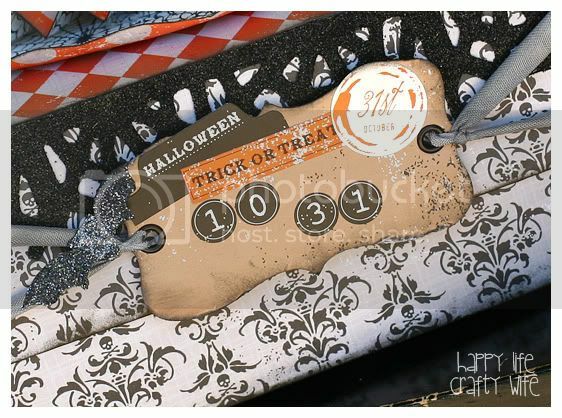 Add eyelets and crinkle ribbon to the tag on the front. Add a name, etc. or stickers like I did! Time for the videos! 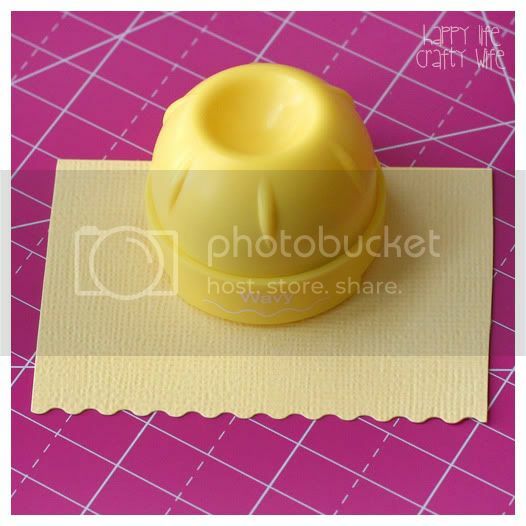 This will show you how to make the hat and assemble. Once the hat it done you just stick it onto the box! I kept my face out of this video, so you get to stare at my sausage fingers! LOL! I'm not feeling very well, so I didn't want to put on makeup or do my hair, lol. I had to break the video up into 3 parts, and they are each about 8mins long. Video 1: You Tube link (may be better quality?) And yes, I totally give you all the finger, egh.. sorry, lol.. it was obviously an accident! OK, that's it, enjoy!! Hopefully the lagging isn't too bad?... Any questions, just ask in a comment and I will reply in the comments for you! 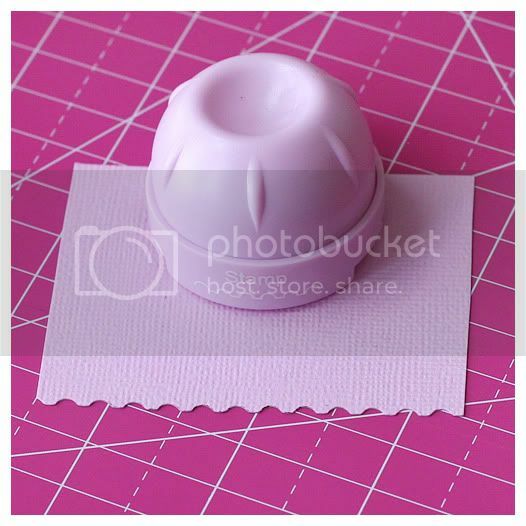 You might have seen on my Facebook Page that I got the Sew Easy recently.. as in.. all of it, lol! (I had a feeling I would love it!) Here's the loot! Look at all those pretty colors! I was finally able to open it all up and get to playin'! 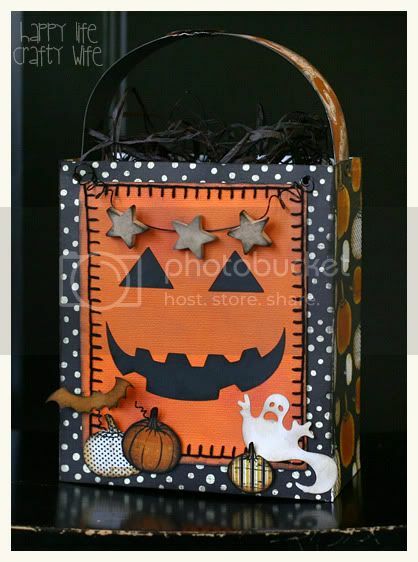 Since my brain is in Halloween mode, I made a little Halloween giftbag! I didn't spend too much time on it, since I have to get my blogiversary projects done. I do love the way it came out! I wanted to add a tag and other little things, maybe later. Here it is! My first project using the Sew Easy! 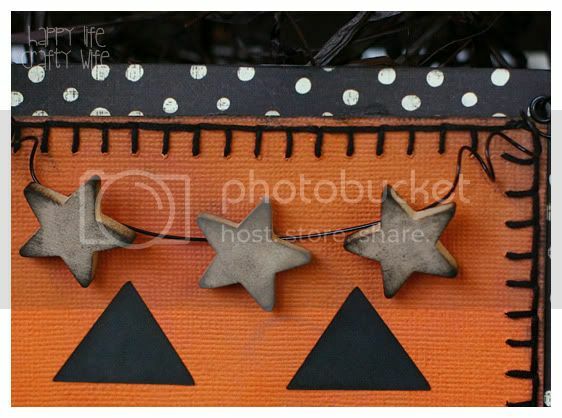 I picked up these little wood stars at Michaels the other day, wasn't sure what I would do with them at first. 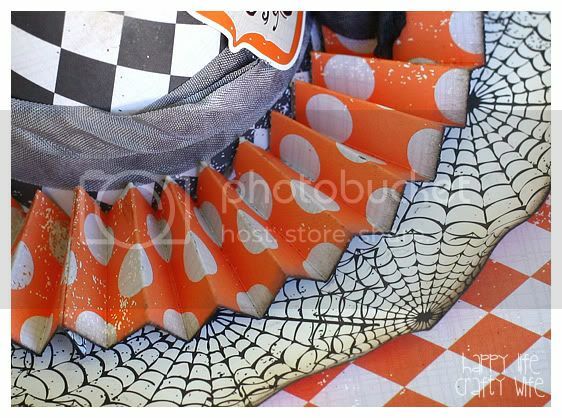 I think they are great for Halloween projects! I inked them up and hot glued them onto wire. Yep, the stitching is a bit crooked on one side. That was the very first side I did and kinda messed up. I already had it inked with the jack-o-lantern face on it, so I didn't want to start over. It doesn't look too bad though. A few thoughts on this product.. If you don't know certain stitches you might have to do a little research on the stitch you're trying to do. Like this one, called a blanket stitch. It's a little time consuming until you get the hang of it. I know how to blanket stitch by hand, but on the paper and how the stitch was done on the paper (not right on the edge) it took a little figuring out. I just sat in my recliner and hand stitched it, it was relaxing actually! NO, this does not come out like something would from a sewing machine. These are embroidery flosses! I actually like it because it stands out more. The mat is a MUST HAVE! 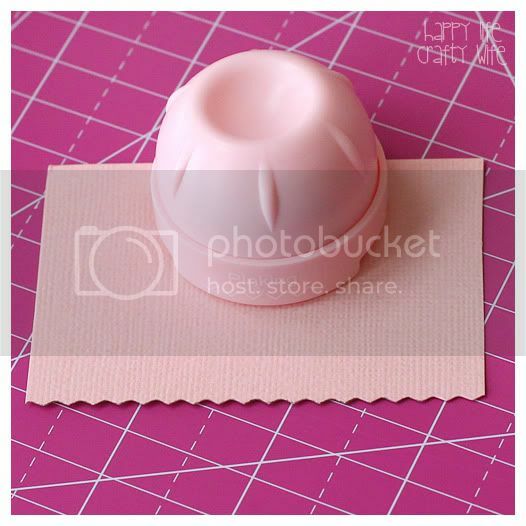 You need a bit of pressure to pierce through the paper, especially thicker paper like AC cardstock. But yeah, super fun and easy to use if you are familiar with the more difficult stitches... if not, You Tube would be helpful! I've got several more ideas already.. like little stocking cards around Christmas, etc. I might get creative and stitch on names! The 19th is here.. You know what that means! CHA REVEALS!!!!! Today is the day I get to share my CHA Echo Park booth projects with you all! Yes, I have been talking about it a lot on my FACEBOOK PAGE and now I can stop yappin' about it and actually show you all! After I tell you all a little story.. I replied back saying I would.. I mean, WHO would turn that down? A crazy person, that's who! Then, before I heard back about my deadline, I thought to myself, "Gee, isn't CHA THIS month?".. Ummm, yeah. *panic begins to set in*.... I was told that they needed my projects by the 14th.. *gulp*... AND they still needed to ship me the paper! *double gulp*.... I told myself, "You've got this, Tamara!"... (I really did say that.... Psssh! Don't try to pretend you don't talk to yourself!) So, I got a big box of awesomeness on July 8th in the evening and immediately got busy! 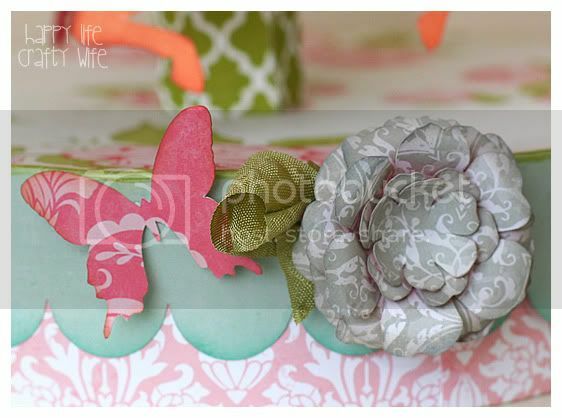 As soon as I saw the GORGEOUS paper I was inspired to create! In TWO FULL DAYS I got done.. I was pretty amazed! I shipped them all out on July 11th.. which is an AMAZING day for me.. Not only did I get done super fast and knew my projects would arrive in time, but that evening I was asked to be on their in house design team! My husband asked what my problem was.. and you know what?.. If HE thinks I'm having an 'issue' then it's seriously disturbing! So yeah, I am excited to say the least! It's a lot different than any other DT I've ever been on and I don't want to get into too many details, but it's super-doooper! If you want to meet the other SUPER talented design team members, head on over to the BLOG! OK.. now that I got that outta my system, time for CHA projects and to get down to business! So, first off, if you're not already following Echo Park's BLOG or 'like' their Facebook Page, then you might have missed out on peeks of some bea-U-tiful new lines! I'm talking about Victoria Gardens and Apothecary Emporium! "Hellooo000oo, GORGEOUS!" These were two of the three lines I got to work with! 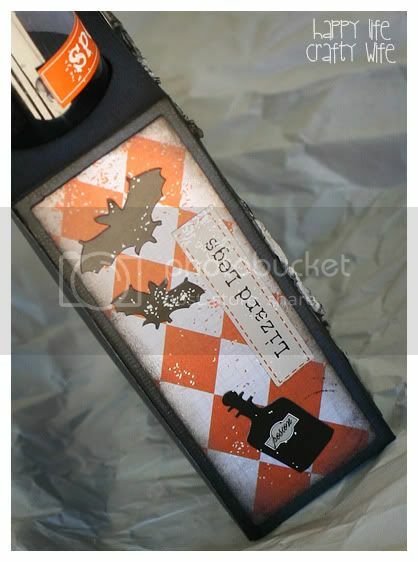 I knew right when I saw Apothecary Emporium on Facebook that I wanted to make some test tube type of project with them. I had two tubes laying around and decided to make my own SVG file to hold them (which will be a free download during my Blogiversary Bash) and decorate it with the cool stickers that come in the kit! I will admit, I don't usually use stickers, just never really thought to. But these were SO fun! Those little stickers fit just right on top of the test tubes! I stuck some of the stickers on cardstock and cut them out. I then distressed and inked the edges. You can do so much with these stickers alone! 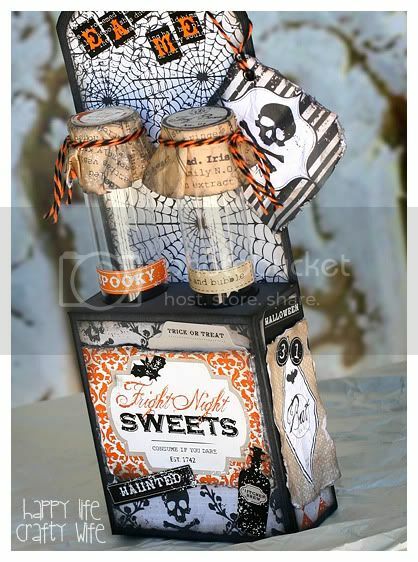 These would be great with some Reese's Pieces or black and orange jelly beans in them! 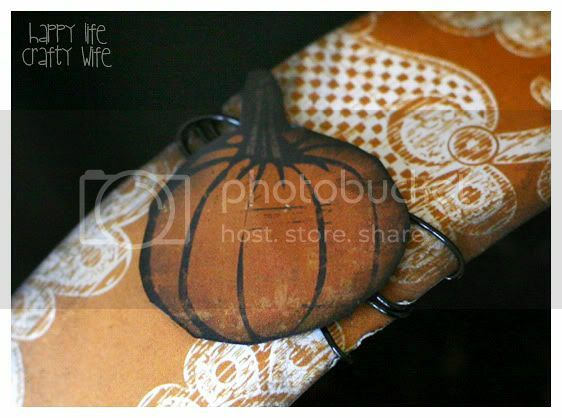 The twine shown is from the awesome Trendy Twine! 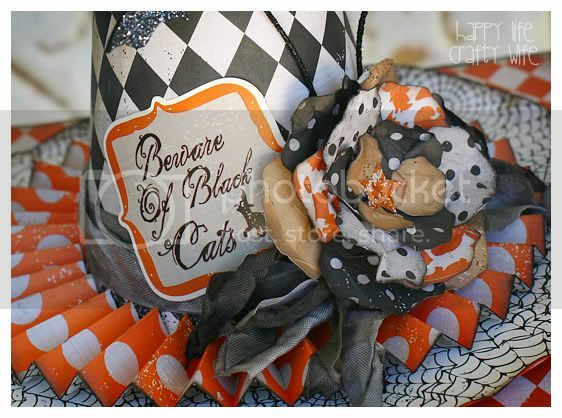 How awesome is that black and orange?! I think it's a limited edition, so you might want to go snag some while you can! Go like her Facebook page and let her know I sent ya! Think that's neat? Well, this is my FAVORITE! 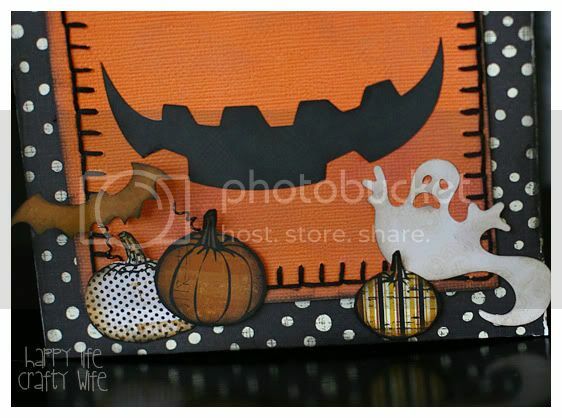 I had visions of doing something like this since LAST Halloween when I first started crafting, I just had no idea where to start! I tackled this and LOVE how it came out. I was sad to ship this one off, for sure! I will have to make another one!.. or at least the hat! The hat is a paper mache cone that I got wet and shaped at the top. I dried it and Mod Podged the paper to it! I hope you like that vintage crinkle ribbon! 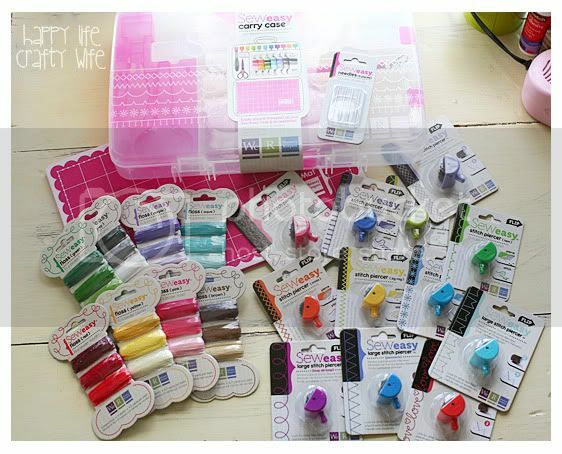 I will be giving some away for my Blogiversary! 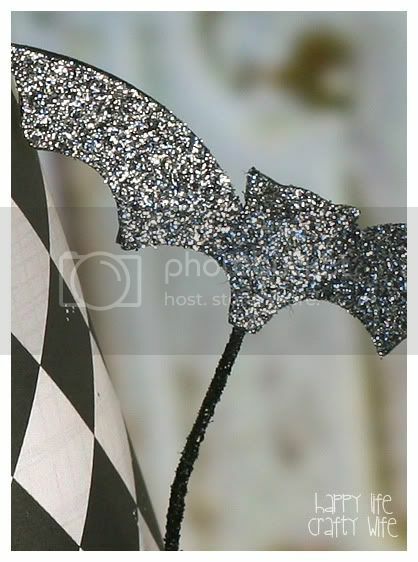 The photo above shows how I added glitter to the wire holding the bats. It looks awesome in person with black and silver glitter on various elements! I will share tips on how I made this in the next few days! :) It's a lot of fun! Can I just say I am dang proud of this beauty!? It's a GIFT BOX! The top section and bottom section are both boxes. I built this thing as if I was building myself a house! lol.. I was very careful with placement and measurements. The center column is stuffed with packing paper and dowel rods for support. I actually had a lot more flowers and things cut out and realized if I went 'overboard' it would have been too much since it was such a large piece as is. Again.... 98% of this was made with the SCAL basic shapes library! I will share more about how I made this in a few days. Don't those papers totally MAKE the project?.. That roof was a total pain to make! I had to use some rusty math skills to create it! And, last but not least! The 'secret' paper I got to work with! 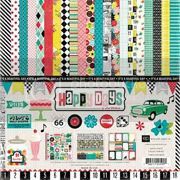 Happy Days... how fun and cute are these papers? I decided to go fairly simple with a neat 3D project. Sadly, I didn't get very many photos of this since I got sidetracked and then ran out of time. When I saw these papers I immediately thought 'diner'.. 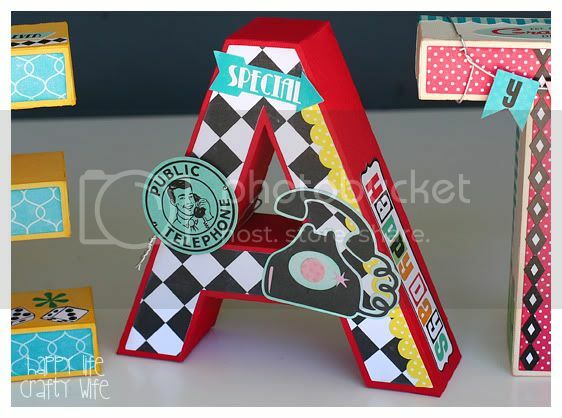 So, I made an 'EAT' sign with 3D letters! The dice were a last minute add for that extra something special. 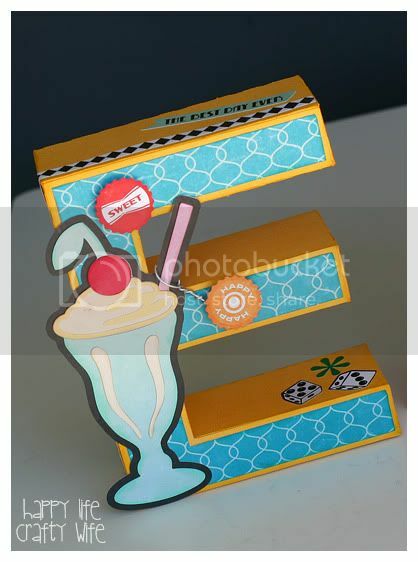 You can make a menu and use this to hold it, cool, huh?! Most of this project is made from files at SVG Cuts! And there you have it! Again, I worked so hard on these! 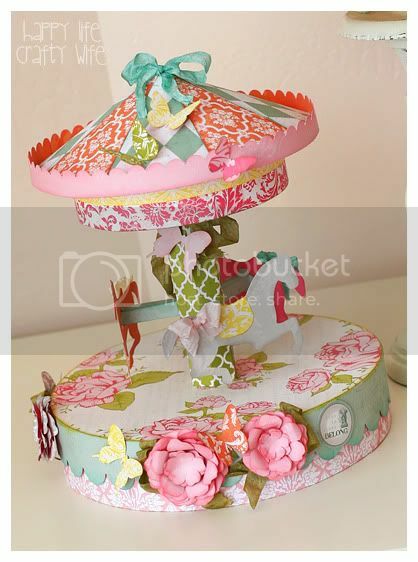 Most of you who read my blog know I love to make 3D projects... and that hat box and carousel really show 'me'. I don't usually have time to go all out like I like to.. I hope I got a few of you to say, "WOW!".. :) I had so much fun working on these! I love starting a project and just going for it! And then to be picked up for Echo Park's design team after all this! I am truly blessed! This past *almost* first year of paper crafting has been AMAZING for me! Let's begin the happy dance!!! First of all, If you are just now seeing the new lines here on my blog, here are the rest! Pretty Christmas lines! 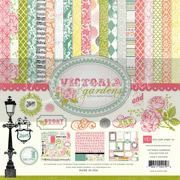 Today I am giving away your choice of Happy Days, Apothecary Emporium OR Victoria Gardens! 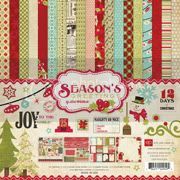 To enter and win all you have to do is comment on this post and tell me what your FAVORITE project of mine was and what new paper line you'd like to win! And if you want.. stop by Echo Park's Facebook Page and tell them what you thought of the new paper lines! I'm sure they love the positive feedback on their amazing products! 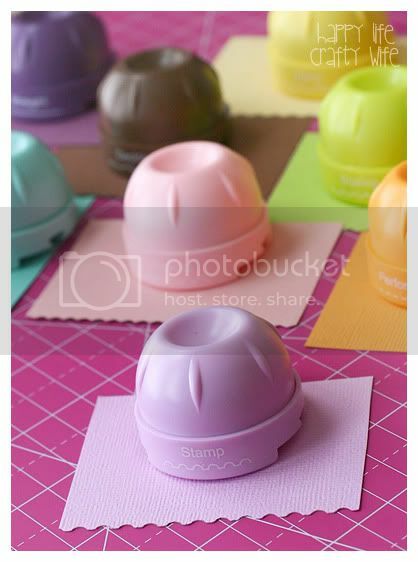 Also, stop by their BLOG for more photos and CHA chatter and to meet the design team! Thanks for getting through this looong blog post! I hope you enjoyed my projects! 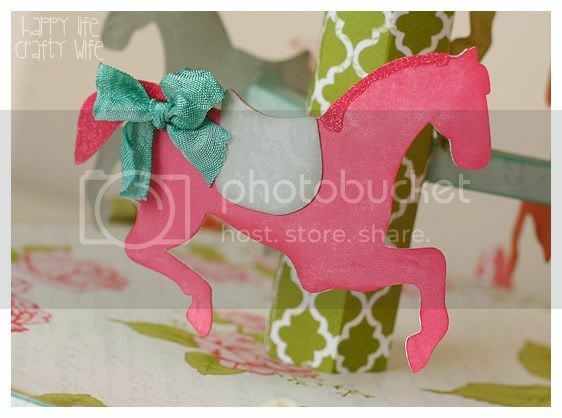 Monday challenge over at Paper Dolls! 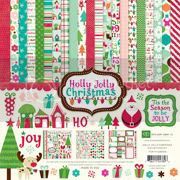 It's Christmas in July week at Paper Dolls! I stayed with quick and simple for this project. I was pressed for time and sometimes simple is good! I've gotten so many comments/emails about my stuff being pretty to look at, but maybe too hard to make, etc. 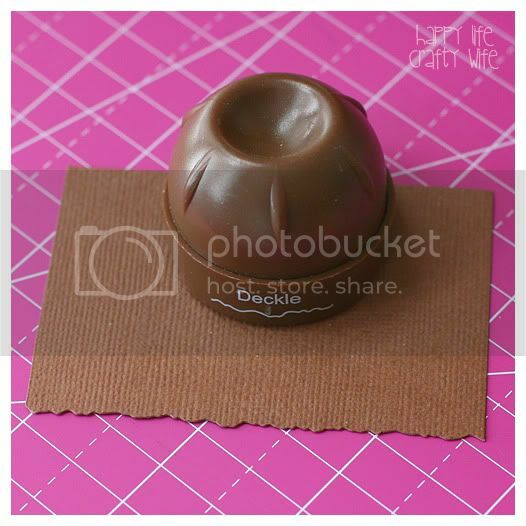 Sooo.. here's an easy and cute project! I created some simple gift tags! Yep.. Dontcha' worry.. tomorrow when I have the Echo Park CHA project posts up.. Oh, yeah.. I will make up for my lack of pictures today, lol! You've been warned! These were SUPER easy! However, explaining them might be difficult. Best thing is to play around with the shapes in your SVG cutting software and just try and get it right. I really wish I took a screen shot of them when I had them layed out in SCAL. First, you will open the file you want to use.. Let's say the penguin. Then, you will kinda layer him in SCAL (or MTC, etc.) as the penguin would look already cut out and assembled. Select all and click 'weld'. 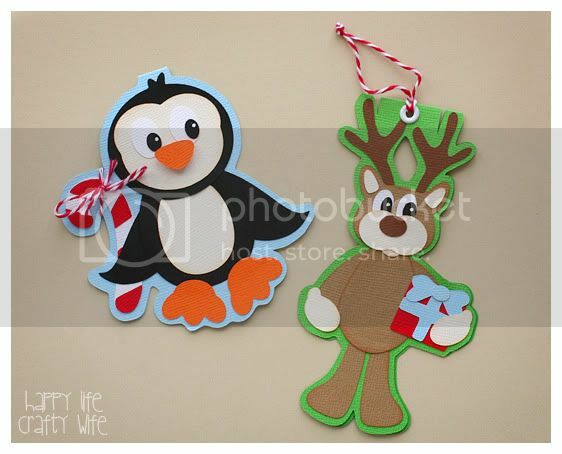 Then you just cut out the penguin and adhere to the front of the tag! 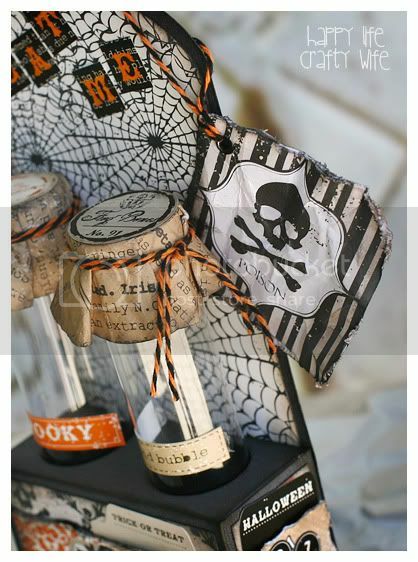 You can add twine, eyelets, etc. It's important to size your penguin (or whatever cut you're using) first so you can make sure that it's the right size when you make the tag afterwards. What I did was after I assembled my penguin on my mat, I made a copy onto another 'page' in SCAL and went from there. Thanks for looking! Make sure you come back tomorrow to see some fun awesome projects! I AM SOOO EXCITED!!!! Whoo! Hey there bloggy friends! This one's a bit long, but I'm givin' you all the updates about my blogiversary bash, surgery and Echo Park happenings! It sure seems like it's been awhile since I have shared any projects, huh? I have several things started (what else is new?) 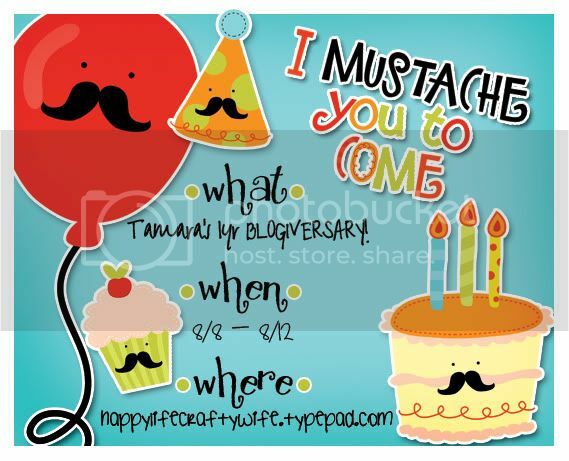 and I am working on finishing those up and using some for my blogiversary bash! While it might seem like I am over here twiddling my thumbs, I've been busy.. very busy! First of all, I am having surgery on August 10th.. Don't be sorry for me, it's a good thing! But the surgery date was kinda 'last minute'. It also gets in the way of my blogiversary bash! So, I was planning to move it up, but there is NO way I can do that as I've got some other things going on (Did I mention I was busy?.. lol) So, what I am going to do is plan it all ahead of time! Yes, as my blogiversarsary bash is happening, I will be at the hospital... I will have my iPad with me to make sure everything is going good though! THAT'S dedication right there! LOL! Now, because I am getting things done NOW for the blogiversary, I will NOT be having guest designers afterall. I just don't have time to plan it all out :( I'm sorry! I had a nice interest in it too, but I have something else up my sleeve that will involve guest designers, so look out for that! This is the run down for blogiversary week, so you can plan for the fun! It's a PARTY! 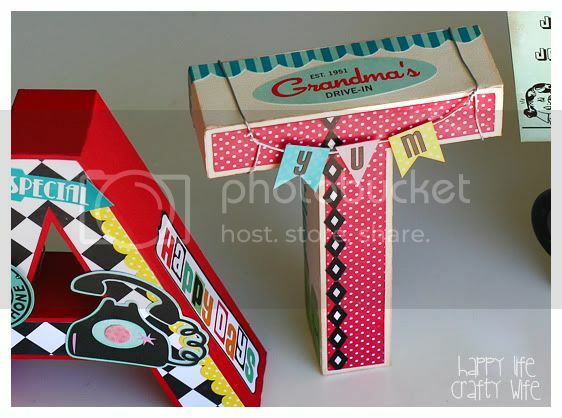 I will share a party themed project with tutorial along and you will be able to enter the BIG giveaway with your 'party pictures'. To enter for the big bundle prize you will need to link up a photo of yourself or your kiddo, hubby, cat, dog, etc... wearing a prop such as a mustache on a stick, party hat, etc.! 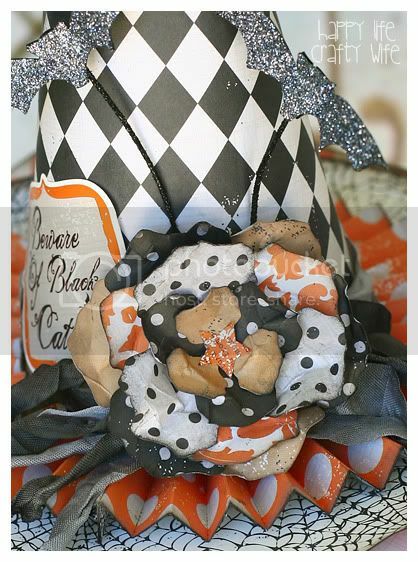 Anything made with PAPER and party related! 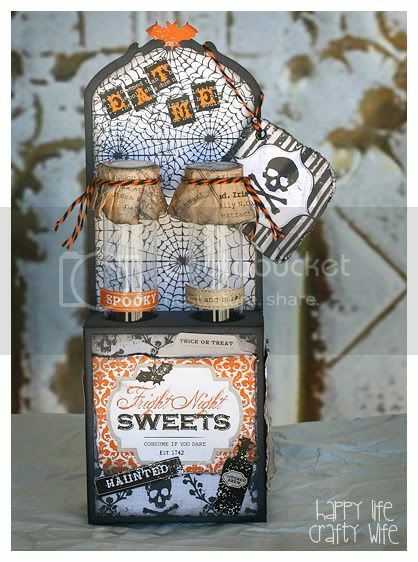 You can check out these sets from Lettering Delights that would work! I figured this would be a lot of fun.. and I can laugh at you all on the side! LOL! (don't worry, if you dont have pets and don't post photos of your family online, you can still enter and those details will be posted during the blogiversary bash!) So yeah, check out these SVG sets! Funny Faces and Mustache Mania. 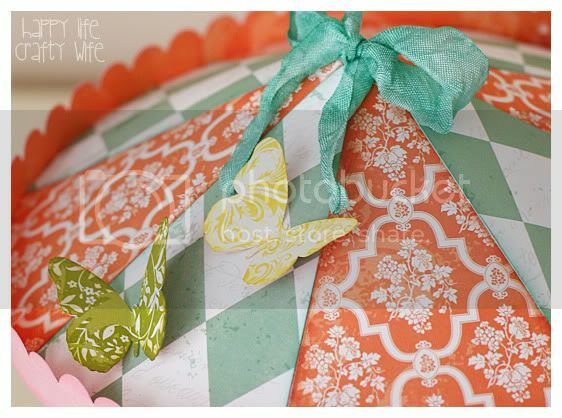 If you'd like to make a party hat, SVG Cuts has a FREE one you can decorate, HERE! You can enter until 1:00am PST on 8/10. You can enter until 1:00am PST on 8/11. Project share with giveaway! 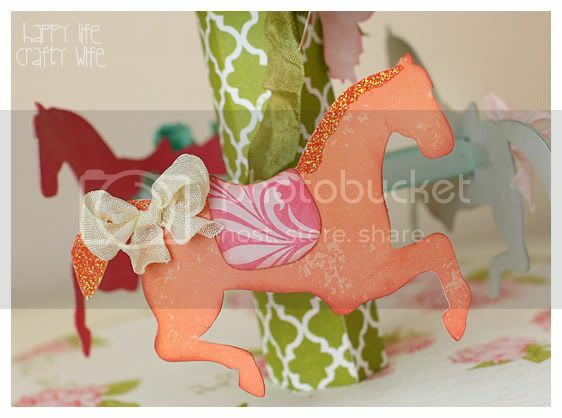 And blog link up sharing Silhouette SD projects! You can enter until 1:00am PST on 8/12. Last day! Project share (something I've made in the past, but putting a different twist on it), giveaway, past favorite projects of mine and blog linkup! You can enter until 1:00am PST on 8/13. OK.. whew, I think that's it as far as the blogiversary goes! See why I will be 'busy' I've only got ONE of those projects done, lol. On another note of being busy.. I'm sure you've seen me posting about working with Echo Park making projects for CHA! (Still can't believe it!) I will have a big post with LOTS of project photos and a giveaway on the 19th of July! Only 5 days away! I've got some other news to share that day as well! I am literally FREAKING over here and want to show you my projects so bad! You have no idea how hard it is for me not to even show you a peek! The paper alone is so inspiring, but I hope to inspire you even more once you see my projects! Again, I am busy behind the scenes getting that blog post ready with photos and such! Now, have you all heard of My Grafico? 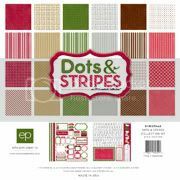 This store is full of greatness from digital paper, graphics, digital stamps, SVG files, etc.! You can literally browse for hours and just keep on adding to your wishlist! Well, NOW is the time to buy! Get 40% off TODAY (7/14) ONLY! Click the banner below and grab your wallet!! And one last thing! 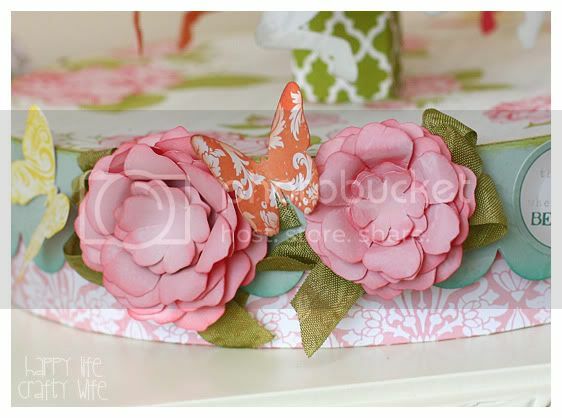 You can link up your 'Life is Sweet' projects over at Paper Issues! Also be sure to check out the many projects already linked up!! So much inspiration there! Don't forget to use code JULY30 in the ETSY SHOP to get 30% off! Alrighty, I'm off to get crafty! See you back here on the 19th!! Whoo-hoo! That's right, folks! My one year blogiversary is almost here and I want to celebrate! 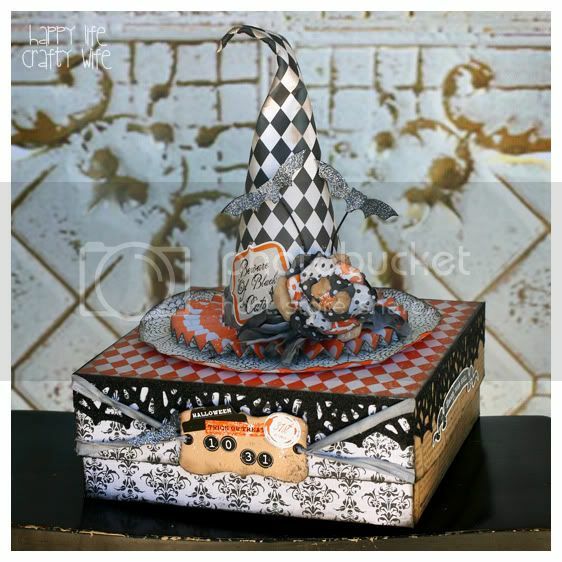 This year of paper crafting has been SO much fun for me! I've met some great friends and have learned so much.. and spent so much money! LOL! Never did I think after a year of this I would have so many followers and 'fans' Little ol' ME! *sniffle*..... *Ahem.. 1250+ on Facebook! * Pretty neat-o! I love seeing that number grow and it excites me knowing that many people wanna see my projects! I think I say this every other month or so, but I just *heart* you guys! Anyhow, I will be celebrating for 5 days starting August 8th! 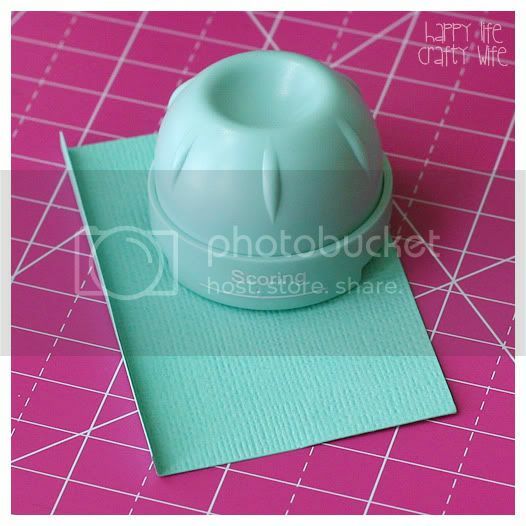 Everyday I will have a new project shared AND a GIVEAWAY! I am looking for one or two guest posters during this time to make a project to share to celebrate! If you're interested, please send me an email to tulahclothing @ gmail.com! I will need your name, blog link, and facebook link if you have one! Also, my larger giveaway includes lots of goodies AND your choice of an ATG Gun OR Crop-a-Dile! To enter for the big bundle prize you will need to link up a photo of yourself or your kiddo, hubby, cat, dog, etc... wearing a prop such as a mustache on a stick, party hat, etc.! Anything made with PAPER and party related! 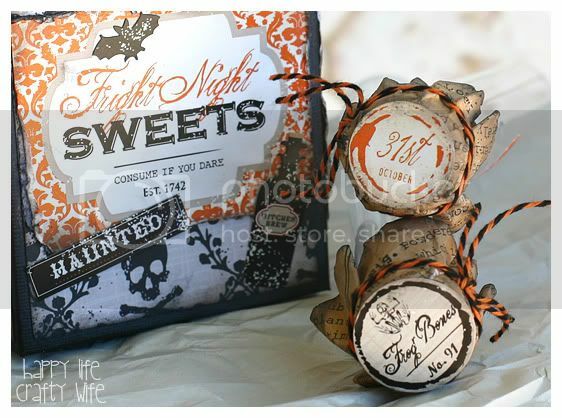 You can check out these sets from Lettering Delights that would work! I figured this would be a lot of fun.. and I can laugh at you all on the side! LOL! I am giving you all a month in advance notice, so plan now! (don't worry, if you dont have pets and don't post photos of your family online, you can still enter and those details will be posted during the blogiversary bash!) So yeah, check out these SVG sets! Funny Faces and Mustache Mania. 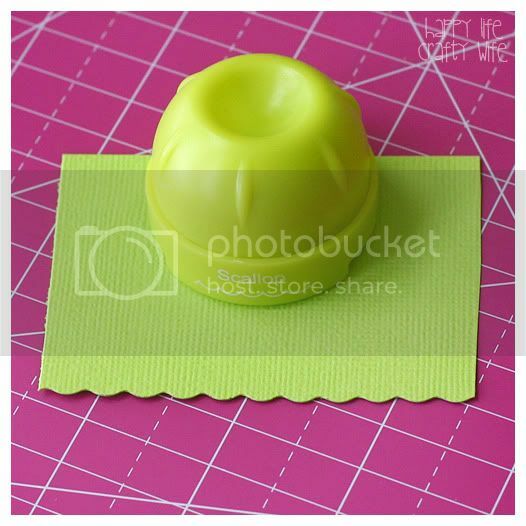 If you'd like to make a party hat, SVG Cuts has a FREE one you can decorate, HERE! Sounds fun, right!? I think so and I hope you will join me! OK, time to get busy! I have some things to do around here before I start working on products for Echo Park's CHA booth! Yes, that's right! I am just as shocked as you all are and SO excited! I get to share what I made on the 19th of this month with a GIVEAWAY! More details on that later! Have a great weekend my crafty friends! Yes, it's true! This is what my friends and family had been telling me for years! LOL! So, why not join the Paper Issues creative team?! .... They have 'Issues'.. I have issues.. so it just makes sense! Basically, I will make projects when I can (No schedule or assignments!.. whoo! Thank Goodness! Because I wouldn't have been able to do it otherwise) and they will be shared on the blog and such! So fun! Paper Issues is a fun and creative blog and Cassie (the owner) has an Etsy shop where she sells pretty paper and other goodies! And if you use the code JULY30 you can get 30% off your order! Time to stock up! Want to see the other newbies on the team? Check them out HERE! Also.. Please go 'Like' Paper Issues on Facebook!